Bengaluru (Karnataka) [India], March 21: Ever since Indian Air Force (IAF) pilot Wing Commander Abhinandan Varthaman returned to a hero’s welcome from Pakistan post the Pulwama operation, his gunslinger moustache and equally suave hairstyle has set a new fad among youngsters across the country. Now, an artist from Bengaluru has attempted a pay a unique tribute to the IAF pilot. IAF Hero Abhinandan Varthaman’s Face Carved Out on Watermelon by Chef at Culinary Art India, Watch Video. 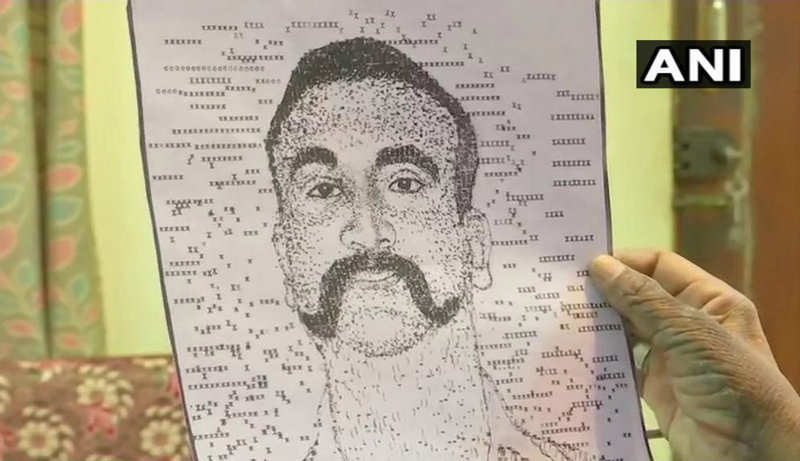 Using a manual typewriter, the artist AC Gurumurthy has typed out letters, symbols, numbers and special characters on the keyboard to flesh out a black and white portrait that closely resembles Varthaman, his swashbuckling moustache intact. Gurumurthy said he two hours over a period of two days to finish the portrait. “Unlike heroes in film, Abhinandan is a real hero. He bought real laurels to the country. It has inspired me,” said Gurumurthy. “I appreciate his bravery and the night he returned to India, I made this attempt,” the artist said. Incidentally, Gurumurthy has attempted portraits of other leaders and famous personalities in the past using his typewriter. Sand Art Salute to IAF Wing Commander Abhinandan Varthaman by Sudarsan Pattnaik; See Pic. Previously, he has churned out portraits of former President APJ Abdul Kalam, former Tamil Nadu Chief Minister J Jayalalithaa, Mahatma Gandhi, former US president Barrack Obama, Mother Teresa and other prominent world figures. It is a delight to see in action, Gurumurthy who used to work in a bank earlier. The artist uses large scale white sheets and goes clickety clat, using his fingers to repeatedly type on a key sometimes to create eyes, nose, hair and other facial features of the portraits. As the artist begins his portraits, initially his work resembles a jumble of lines and dots but wait a bit further and a work of art emerges. The artist said he hopes to enter the Limca Book of Records and Guinness World Records with his feats. Wing Commander Varthaman, flying a MiG -21 Bison fighter plane, was chasing Pakistani jets which transgressed into Jammu and Kashmir and crossed over to Pakistan-occupied Kashmir (PoK) where his aircraft was shot down on March 27. He ejected safely and was taken into custody by the Pakistan Army when his parachute drifted and fell inside PoK. 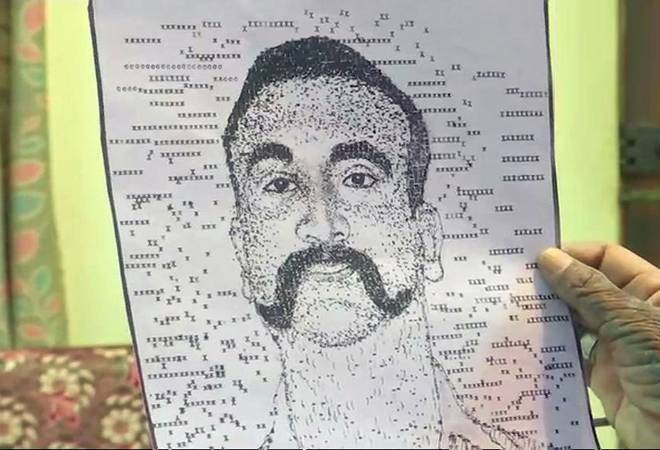 He was, however, released on March 1 and reached India via Attari-Wagah border after Pakistan Prime Minister Imran Khan, on February 28, announced the release of Abhinandan, calling it a “peace gesture”.